Love follows no religion; the religion of love is love only. 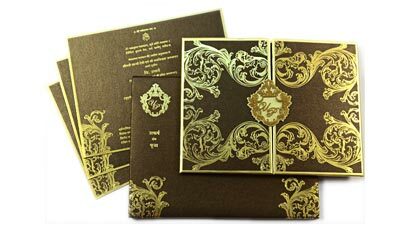 Our Multi Faith Designer Invitation cards are just right for people looking for cards that don’t have any touch of religion. Our designs are magnificent, and concept unique this is what is required to make the union of hearts filled with love a truly memorable affair. 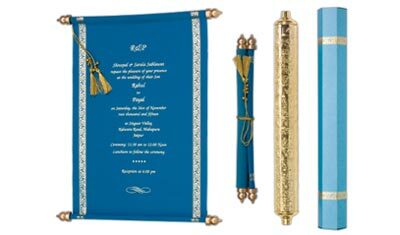 ur matchless collection of scrolls wedding invitation represents the vivid color of joy and vibrant mood of the event. Our cards have all the things that a bride & groom look for in a scroll invitation card –contemporary design, heart touching words, elegant layout and printed on a variety of rich handmade papers makes them perfect choice for wedding scroll.